Also floriferous than its big brother g. Silvery blue, crystal lake will seduce you with the romance of its crystal blue color purple with darker veins. Spreading habit. Massif hotpots. Any good garden soil. 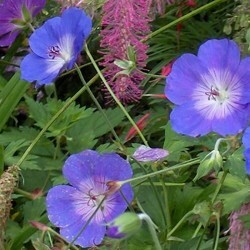 Exquisite pink version with very long flowering geranium rozanne. Port crawling and lining. Beautiful mottled foliage (void) blushing autumn. 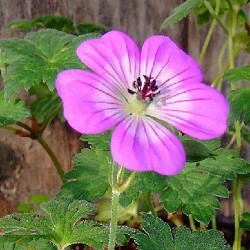 Abundant and bright pink flowers with white heart. Massive and hotpot. Any good soil rich and fresh. 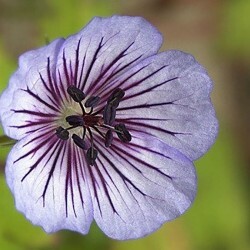 Ancestor of the famous geranium rozanne. Fort pushing it rapidly forms a nice clump spread deciduous. Blue flowers with white center jusquaux successive frosts. 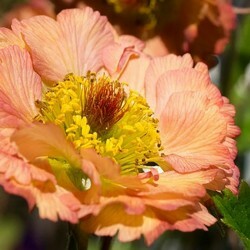 To be installed as a carpet of shrubs feet or fall on a wall. 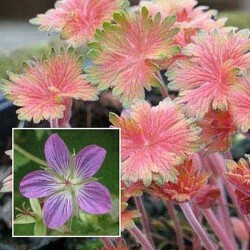 A geranium pink interesting by its bronze foliage in spring and red-brown in autumn and by its long purple violet from june to september. Use shaded massive purple dheuchera together. 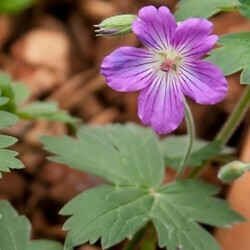 A vigorous creeping geranium. Beautiful foliage (void) spring and fall are declining in fiery shades of red and dorange. Abundant small pale mauve flowers white heart. All soil drainage.